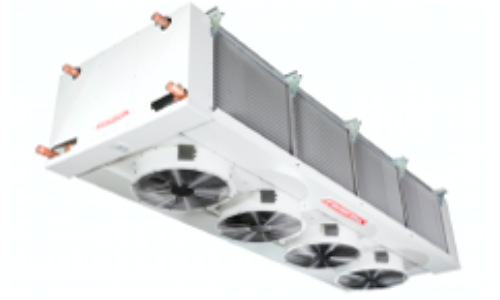 We have been designing efficient, reliable and durable solutions for the most demanding features in refrigeration and air conditioning for over 50 years. 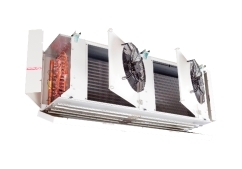 THE MOST ADVANCED RANGE OF INDUSTRIAL COOLING PRODUCTS. 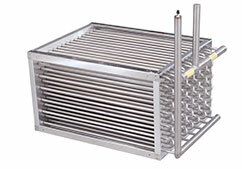 We offer standard or custom made solutions for the most demanding duties in industrial refrigeration. 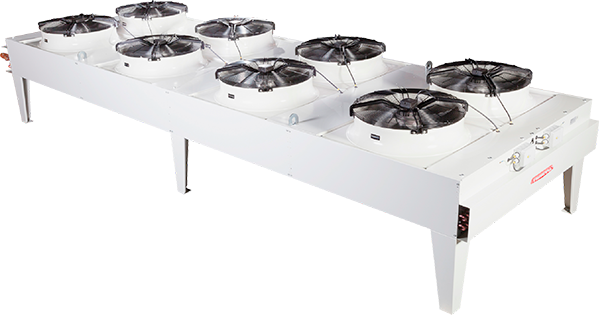 Manufactured with the highest quality specifications, with a design based on experience and a wide range, we adapt any kind of applications in cooling rooms. 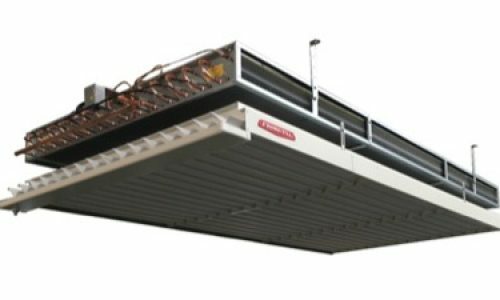 We manufacture condensers adapted to any situation and ambient, capable of satisfying the necessities of the market, both with AC or EC fans. 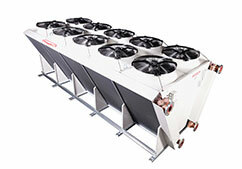 For water and industrial oil cooling. Axial fan motors of 500, 630 and 800. Standard cubic units and "V" shaped models. Many options and treatments. Frimetal manufactures on request finned tube coils and custom made coils. There is a wide range of possibilities regarding shape, external dimensions, refrigerant used, etc. All the available options will be given by our Technical Department. More than 50 years of experience and international expansion. 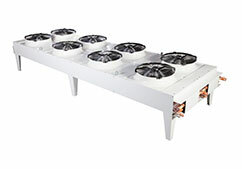 Our products provide industrial cooling in more than 25 countries. 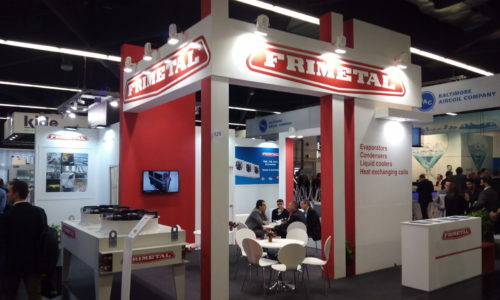 Annually, FRIMETAL introduces its novelties at the international fairs of industrial refrigeration. 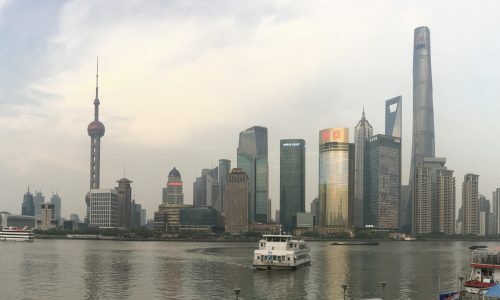 Betting on FRIMETAL is betting on technologies and designs proved at any situation. INNOVATION AND DESIGN IS PART OF OUR WAY OF BEING. We were pioneers in Spain offering refrigeration advanced solutions and we keep on innovating everyday to offer you new answers that ease the installation, maintenance and the efficiency of the equipment. 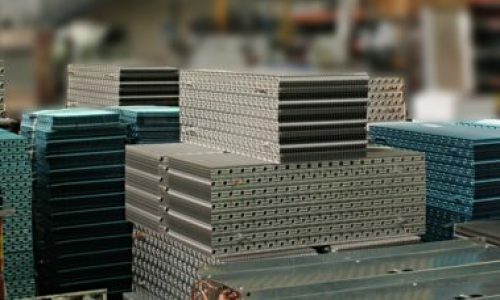 Our manufacturing process warranties the value chain through an exhaustive quality control supervised by the most experienced professionals. Nothing is left to chance. 50 years of innovation plus an own R+D centre makes FRIMETAL a reference among other manufacturers. We believe in keeping the excellence of the human team to be the main factor in the success of any project. 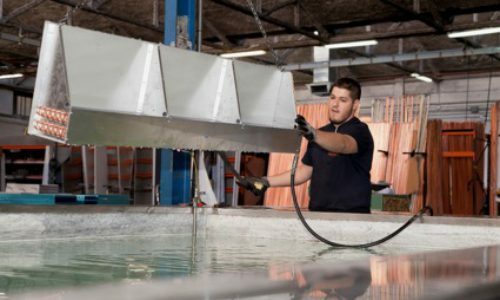 Apart from our exceptional quality, our products ease the installation and maintenance. We are constantly improving our designs for a better collaboration with the professionals we work with. After our visit to the Chillventa exhibition this last November in Nüremberg, we are glad to say that the balance is very positive. 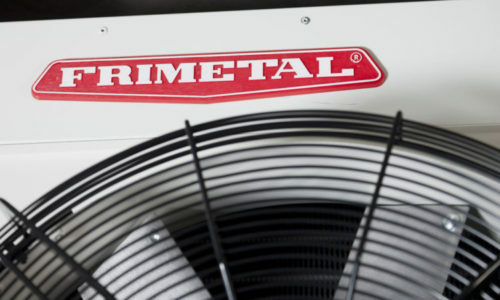 Access to our refrigeration product catalogue as well as to our Frimetal Selector Program, to guide you to the best selection of the product according to your cooling and refrigeration specifications and requirements.